In terms of performance of the states, six states have already achieved the target, another seven are within a striking distance of achieving it. As most states continue to struggle to achieve the GST collection targets, talks are already on for the central government to extend the compensation period for the states against their revenue losses by another three years. Earlier, the states were supposed to receive compensation for first five years since the implementation of GST in 2017, that is, till 2022. This could now be extended to 2025. This would mean compensation cess on many of the items would continue to be levied for another three years to fund this compensation. Compensation cess is levied on sin and luxury goods like pan masala, aerated water, cigarette, automobiles, etc. The reason for extending the compensation period could be what the finance minister Arun Jaitley explained in his recent blog. He pointed out that the current GST targets are too steep and almost unachievable. "The targets set for the state in the GST regime are unprecedently high. Even though GST commenced on July 1, 2017, the base year for revenue increase has been calculated is 2015-16. For each year a 14 per cent increase is guaranteed. Thus, with three 14 per cent increases compounded annually over the base year of 2015-16, this is close to a 50 per cent being reached in the second year itself. It is almost an unachievable target," wrote FM Jaitley in a recent blog. In terms of performance of the states, six states have already achieved the target, another seven are within a striking distance of achieving it and eighteen are still more than 10 per cent away from achieving it. The states that have achieved the target include Mizoram, Arunachal Pradesh, Manipur, Telangana and Andhra Pradesh. The ones which are within a 'striking' distance of achieving the target include Maharashtra, Sikkim, UP, West Bengal, Tamil Nadu, Nagaland, Assam. In these states the deficit is in the range of 1-6 per cent, while there are 18 states where the deficit is more than 10 per cent. Some of the worst performing states are Punjab, Uttarakhand, Himachal Pradesh and Pudducherry where the deficit is over 25 per cent. Compensation paid to states in the eight months (August 2017 - March 2018) of last financial year was Rs 48,000 crore. For full year, the compensation paid to the states should have been Rs 72,000 crore. However, the requirement for compensation is reducing. After factoring in 14 per cent increase in revenue growth this year, the total compensation cess to be paid this year should have been Rs 82,000 crore. 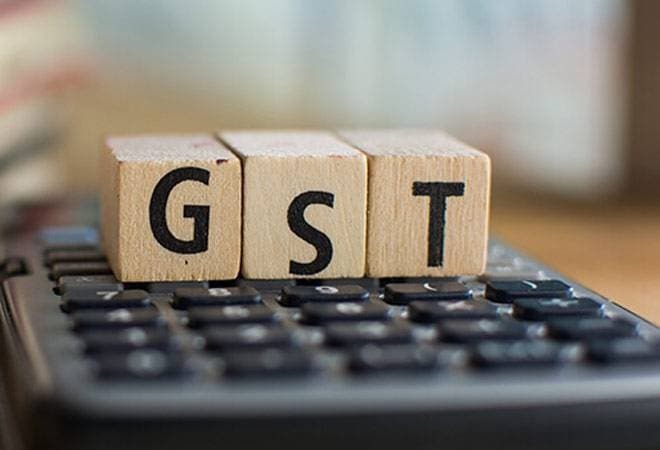 However, the finance minister said that due to better settlement of integrated GST (IGST) and improvement in collections this year, in the first six months, the compensation paid to the states stood at Rs 30,000 crore. "So by extrapolating from this the full year compensation cess to be paid to states should be Rs 60,000 crore," said jaitley.